Match ends, FC Bayern München 3, FC Schalke 04 1. Second Half ends, FC Bayern München 3, FC Schalke 04 1. Substitution, FC Bayern München. Alphonso Davies replaces Serge Gnabry. Attempt missed. Leon Goretzka (FC Bayern München) right footed shot from the right side of the box is high and wide to the right. Assisted by Thiago Alcántara. Hand ball by Franck Ribéry (FC Bayern München). Offside, FC Schalke 04. Daniel Caligiuri tries a through ball, but Mark Uth is caught offside. Substitution, FC Bayern München. Javi Martínez replaces James Rodríguez. Attempt blocked. Robert Lewandowski (FC Bayern München) right footed shot from the left side of the box is blocked. Attempt missed. Robert Lewandowski (FC Bayern München) right footed shot from the centre of the box is close, but misses to the right. Assisted by James Rodríguez. Substitution, FC Schalke 04. Mark Uth replaces Ahmed Kutucu. Attempt missed. Daniel Caligiuri (FC Schalke 04) left footed shot from outside the box is high and wide to the left. Assisted by Amine Harit. Foul by Franck Ribéry (FC Bayern München). Substitution, FC Bayern München. Franck Ribéry replaces Kingsley Coman. Foul by Jérôme Boateng (FC Bayern München). Ahmed Kutucu (FC Schalke 04) wins a free kick in the defensive half. Hand ball by Leon Goretzka (FC Bayern München). Goal! FC Bayern München 3, FC Schalke 04 1. Serge Gnabry (FC Bayern München) header from the centre of the box to the bottom left corner. Assisted by Robert Lewandowski. Attempt missed. Robert Lewandowski (FC Bayern München) right footed shot from the centre of the box misses to the right. Assisted by Kingsley Coman with a cross. Offside, FC Schalke 04. Jeffrey Bruma tries a through ball, but Ahmed Kutucu is caught offside. Jeffrey Bruma (FC Schalke 04) hits the left post with a header from the centre of the box. Assisted by Daniel Caligiuri with a cross following a corner. Substitution, FC Schalke 04. Amine Harit replaces Suat Serdar. Corner, FC Schalke 04. Conceded by Mats Hummels. Attempt saved. Weston McKennie (FC Schalke 04) right footed shot from very close range is saved in the bottom left corner. Attempt saved. Yevhen Konoplyanka (FC Schalke 04) right footed shot from the centre of the box is saved in the centre of the goal. Assisted by Weston McKennie. Hand ball by Ahmed Kutucu (FC Schalke 04). Attempt missed. Leon Goretzka (FC Bayern München) right footed shot from a difficult angle on the right is close, but misses to the right. Assisted by Serge Gnabry with a through ball. Second Half begins FC Bayern München 2, FC Schalke 04 1. First Half ends, FC Bayern München 2, FC Schalke 04 1. Attempt missed. James Rodríguez (FC Bayern München) left footed shot from a difficult angle and long range on the left is just a bit too high from a direct free kick. Thiago Alcántara (FC Bayern München) wins a free kick on the left wing. Corner, FC Bayern München. Conceded by Suat Serdar. Attempt blocked. Robert Lewandowski (FC Bayern München) right footed shot from the left side of the box is blocked. Assisted by James Rodríguez with a cross. Corner, FC Bayern München. Conceded by Yevhen Konoplyanka. Corner, FC Bayern München. Conceded by Omar Mascarell. Attempt blocked. Kingsley Coman (FC Bayern München) right footed shot from outside the box is blocked. Assisted by Thiago Alcántara. Attempt saved. Yevhen Konoplyanka (FC Schalke 04) right footed shot from the left side of the box is saved in the bottom left corner. Assisted by Ahmed Kutucu. Robert Lewandowski (FC Bayern München) is shown the yellow card for a bad foul. Substitution, FC Schalke 04. Omar Mascarell replaces Sebastian Rudy because of an injury. 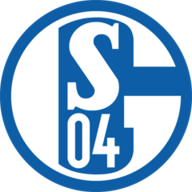 Corner, FC Schalke 04. Conceded by Thiago Alcántara. Attempt blocked. Weston McKennie (FC Schalke 04) header from the centre of the box is blocked. Assisted by Bastian Oczipka with a cross. Ahmed Kutucu (FC Schalke 04) wins a free kick on the left wing. Attempt missed. Mats Hummels (FC Bayern München) header from very close range is just a bit too high. Assisted by James Rodríguez with a cross following a corner. Corner, FC Bayern München. Conceded by Ralf Fährmann. Attempt saved. James Rodríguez (FC Bayern München) left footed shot from outside the box is saved in the top left corner. Assisted by Robert Lewandowski. Corner, FC Bayern München. Conceded by Bastian Oczipka. Goal! FC Bayern München 2, FC Schalke 04 1. Robert Lewandowski (FC Bayern München) right footed shot from the centre of the box to the top left corner. Assisted by James Rodríguez. Goal! FC Bayern München 1, FC Schalke 04 1. Ahmed Kutucu (FC Schalke 04) right footed shot from outside the box to the bottom left corner. Assisted by Weston McKennie with a through ball following a fast break. Attempt missed. Serge Gnabry (FC Bayern München) right footed shot from the right side of the box misses to the left. Assisted by James Rodríguez with a headed pass. Attempt saved. Serge Gnabry (FC Bayern München) right footed shot from the right side of the box is saved in the bottom left corner. Assisted by Robert Lewandowski with a through ball. Own Goal by Jeffrey Bruma, FC Schalke 04. 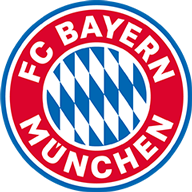 FC Bayern München 1, FC Schalke 04 0. Corner, FC Bayern München. Conceded by Weston McKennie. Attempt missed. David Alaba (FC Bayern München) left footed shot from outside the box misses to the right. Assisted by James Rodríguez. Attempt blocked. James Rodríguez (FC Bayern München) right footed shot from the centre of the box is blocked. Assisted by Kingsley Coman.